Scientists have pinpointed a mutated gene as key to the development of some types of glioma brain tumour. The mutation leads to hugely increased levels of a chemical in the brain, which seems to feed the cancer. The Nature study suggests that detecting higher levels of the chemical could provide doctors with a useful diagnostic tool. It also raises hopes that blocking production of the chemical might prevent the cancer getting worse. People with particular brain tumours, such as lower-grade gliomas, often carry a mutated version of a gene that controls production of an enzyme called IDH1. The latest study, by US firm Agios Pharmaceuticals, shows that these mutations change the way the enzyme works and result in the build-up of high levels of a chemical called 2-hydroxyglutarate (2HG) in the brain. Researchers found malignant glioma samples with IDH1 mutations had 100 times more 2HG than similar samples from patients without the mutation. They said measuring 2HG levels could be used to help identify patients with IDH1 mutant brain tumours. Writing in the journal, the researchers said: "This will be important for prognosis as patients with IDH1 mutations live longer than patients with gliomas characterised by other mutations. 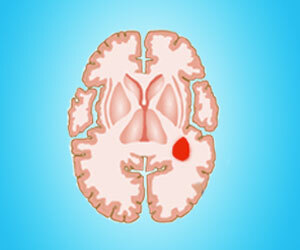 "In addition, patients with lower-grade gliomas may benefit by the therapeutic inhibition of 2HG production. "Inhibition of 2HG production by mutant IDH1 might slow or halt conversion of lower-grade glioma into lethal secondary glioblastoma, changing the course of the disease." Professor Lew Cantley, a cancer expert at the Beth Israel Deaconess Medical Center, who founded Agios, said it had previously been thought that IDH1 played no role in cancer. The Agios team used techniques from an emerging area of research called cancer metabolism, which focuses on studying changes in metabolic activity in cancer cells. He said: "What was previously considered an inactive enzyme is in reality an active oncogene and a potential therapeutic target." Dr Laura Bell, of the charity Cancer Research UK, said: "This study has brought exciting new information to light which could eventually help doctors understand more about how certain brain tumours are likely to progress - and how best to treat them. "But there is still some way to go before this new information could be used to help treat people with cancer."